Martin Ambros, CEO of Air-Weigh On-Board Scales, walks us through how technology is moving forward in the world of transportation, and the advances are not limited to self-driving vehicles; the shipping and freighting side of the industry is seeing its own improvements, with the future of weight measurements being integrated into telematics. 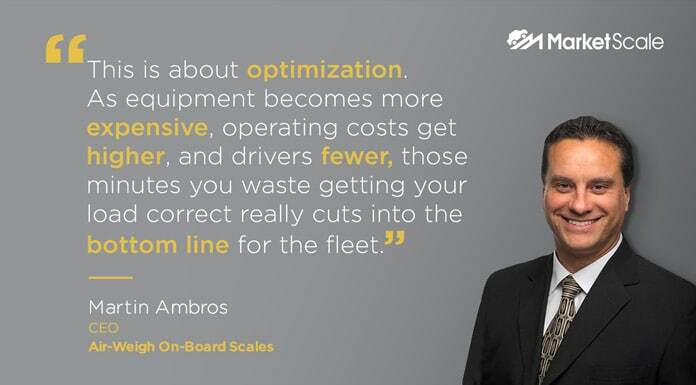 Although onboard scales have been around for a significant period of time, Ambros finds that there’s a real change in the way they’ve been viewed and valued over the past three years. For example, five years ago 70 percent of his customers or higher were drivers looking to cut back on overweight fines and fees. Now, it’s all about optimization.